This past Sunday was a lazy day equipped with a very late brunch. My dad recently brought me one of his skillets and I figured I’d test it out. 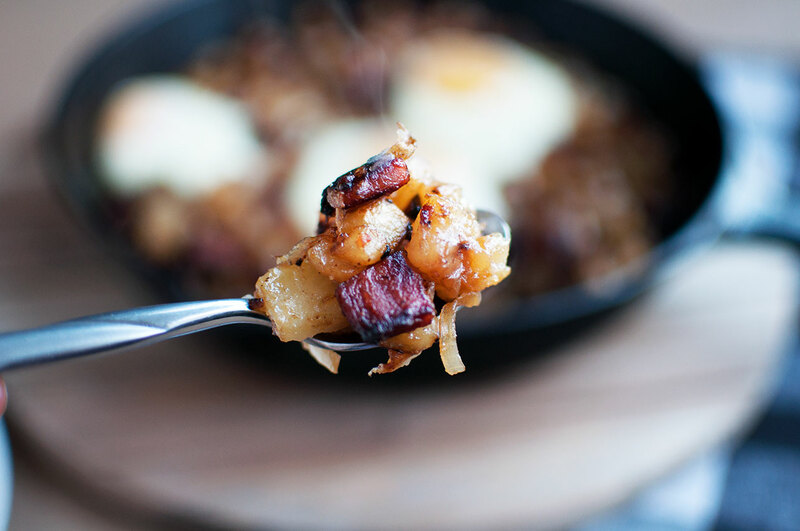 I wanted to go with something easy and quick and decided on a breakfast hash. This recipe is the result of a combined effort between myself and a fellow foodie friend. 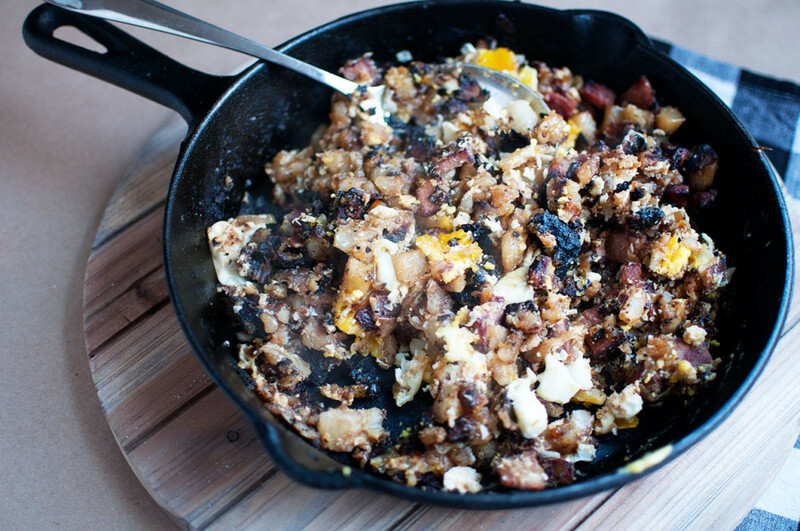 Warm, savory, and with a hint of maple syrup this easy skillet dish is quite filling. Between the potatoes, ham, bacon, and a few other fixings, one serving of this was more than enough for me. As always, you can find the full recipe below and don’t forget to visit my full site for more recipes, food photos, and my new weekly “Love List“. Carefully remove from oven. 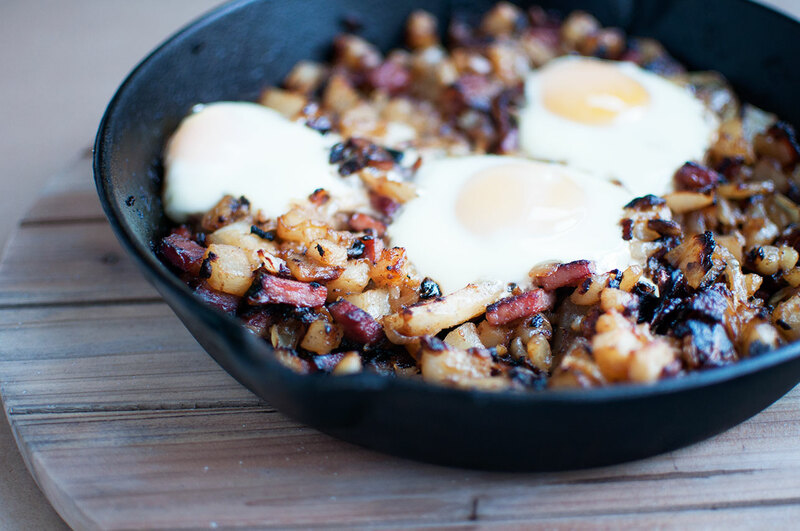 Stir hash to mix in the egg yolks.